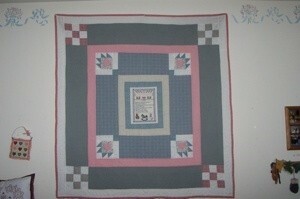 This is a family keepsake quilt that I made with a cross-stitch center. It is in country colors of pinks and blues. It was so much fun to create and quilt! I love it! What a great keepsake.